It was a cold and rainy February around lunch time and I was hungry. A tip originally was an unexpected gift. A person was so pleased with your services that you provided that they gave you a little extra as a token of their appreciation. It wasn’t expected but was always welcomed and it encouraged people to provide service that exceeded people’s expectations so that they could receive more. Somewhere down the line, some businesses decided in efforts to keep their overhead low, they would still pay low and simply encourage service professionals to get more tips instead because their pay wasn’t going to go up significantly. I’d be a millionaire if I got a dollar for every Facebook post, angry rant or whatever I’ve seen with people conjuring up all kinds of things about a person’s character if they don’t tip or how you “have” to tip your service professionals. While it is a social norm in USA to tip for services and socially deemed as tacky to not tip, especially if you received amazing service, you do not HAVE to and it says nothing about the genuine core of your being. I don’t think slamming people for not or shaming people into doing it adds any more positive encouragement to the situation. I offer services where tipping is commonplace and I have never once fixed myself to be nasty to anyone because they didn’t tip me or tipped me but it was “too low”. Too low? At least you got something. I understand you work hard and you do deserve it but it wasn’t owed to you.You did get something extra. Sometimes we spend more time focusing on what is not there, we don’t operate from a place of appreciation anymore. The rate/price a client/your employer pays is expected of them, a tip is a gift and a merit of GREAT service. I think some have gotten into a habit of treating people as if they are monsters if they don’t tip or tip too low. That delivery guy in the story above would have gotten the rest of his tip but I lost the desire to give it to him when I was met with his bad attitude. If you let yourself get that upset about tipping, as Phonte Gallo says, “Why rage against the machine when you can just unplug it?” Find/create another job that doesn’t rely so heavily on tips or create another supplemental stream of income, be it passive or active, so you aren’t as pressed. 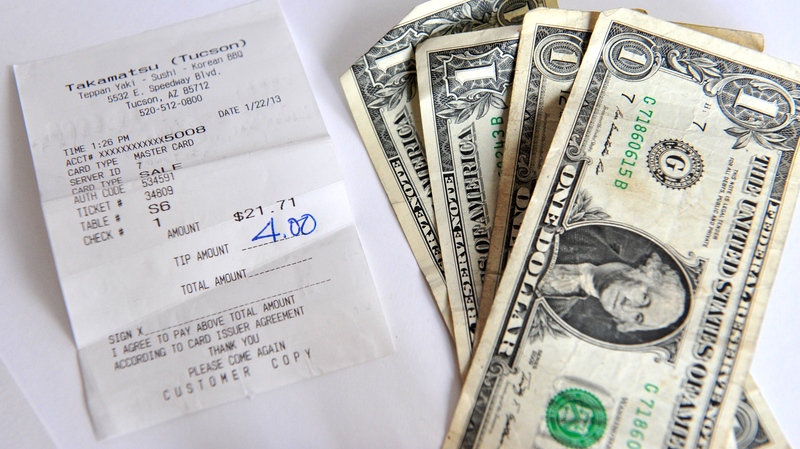 I am an avid tipper and I more than likely always will be. I have no problem tipping for excellent services as a token of my appreciation and gratitude. My annoyance is with the attitude of entitlement because I believe that “you are not ENTITLED to a tip”.